Hi there! TGIF! I actually can't believe how fast this week went, I swear it was just Tuesday and I was complaining that it wasn't Friday yet, whhhaaaa??? 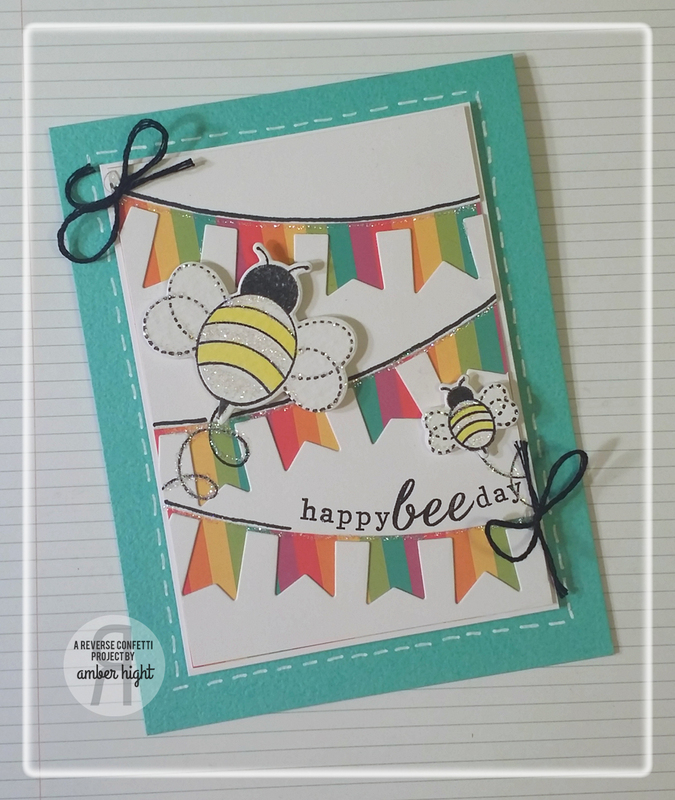 I found this week's new Freshly Made Sketch and totally loved it and went up to the craft room and came out with this fun card using a new set from Reverse Confetti, The Buzz! 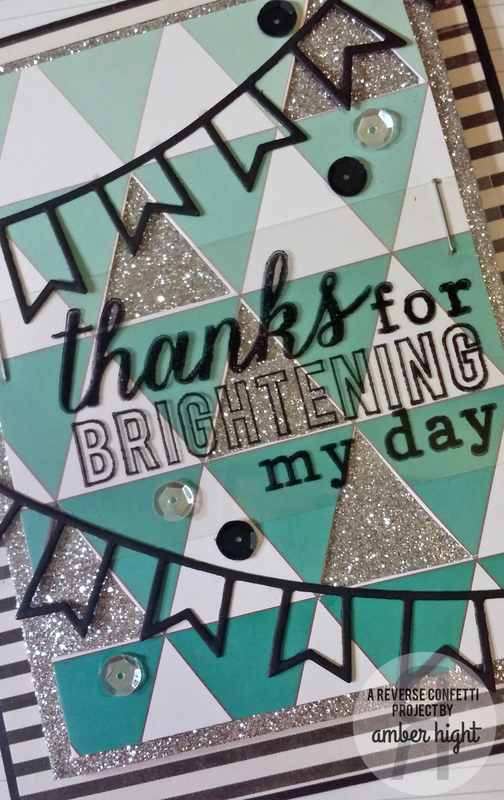 This set has matching Confetti Cuts as well which made putting this card together a snap! 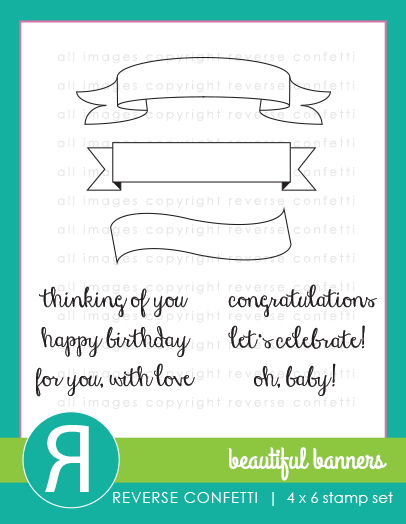 I think my favorite part of the card is the curved sentiment, I love that about clear stamps!! I try to contort the sentiments any time it works out because it's so fun, ha! 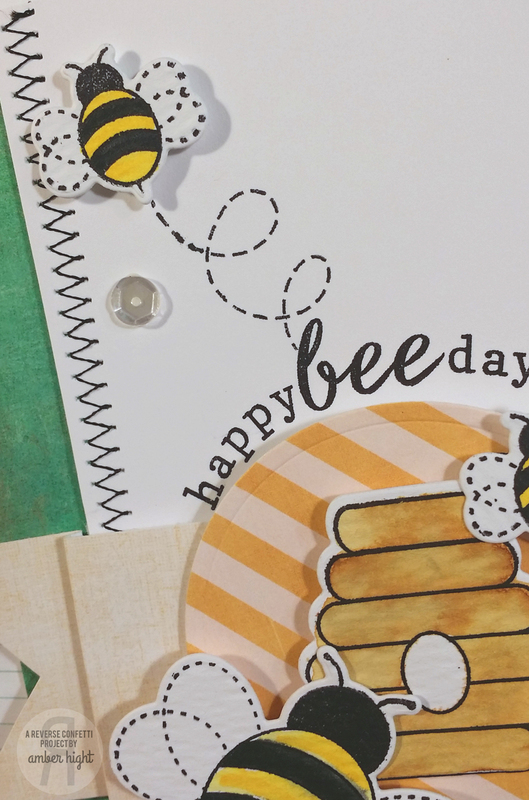 How cute are these little bees and their little trails? GAH! I love this set so much:) Click HERE to grab one from the RC store!! 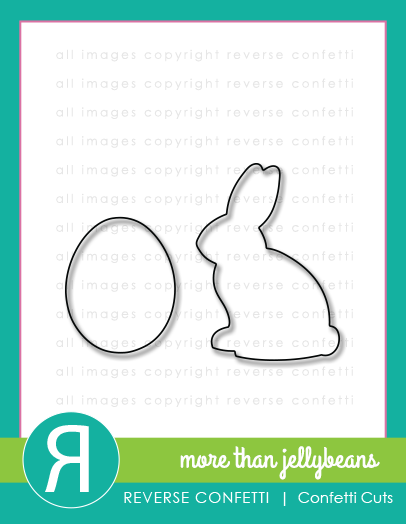 I also have a fun card on this week's Reverse Confetti Newsletter! You have GOT to subscribe, there is so much awesome content on the newsletter now, including a new Inspiration Station! 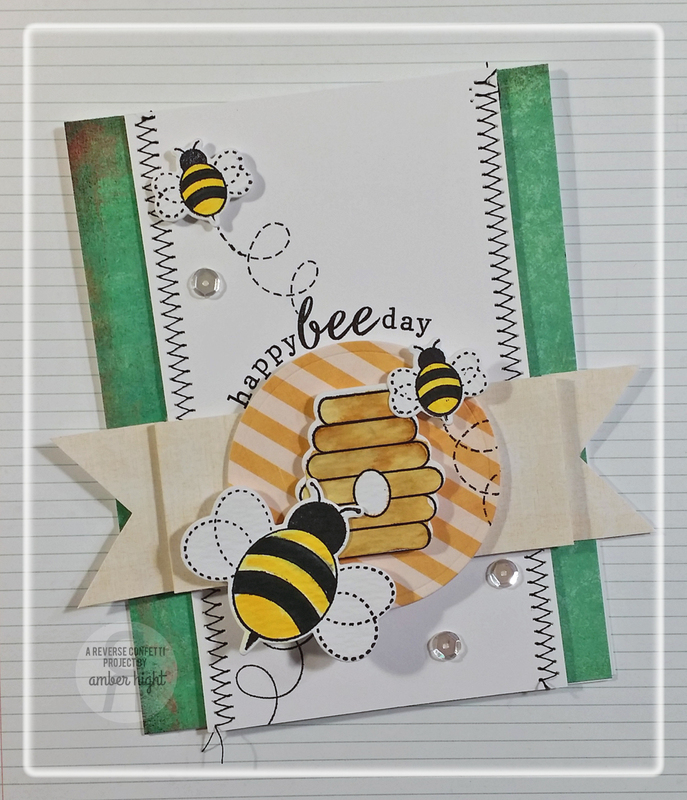 A DT member finds something to be inspired by and creates a card using that inspiration...here's a little peek at my project! 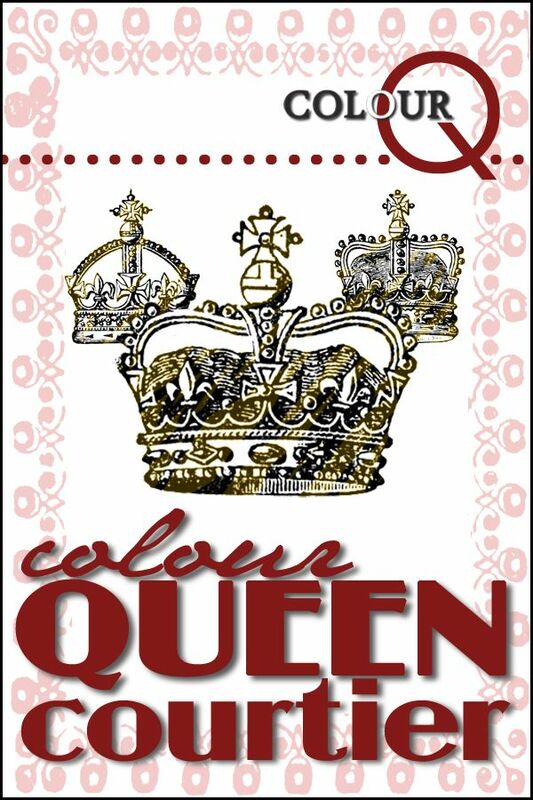 I wish I could show you the whole card, but all you have to do to see it is subscribe to our FREE and completely inspirational newsletter!! 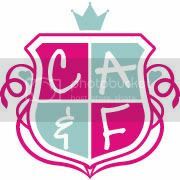 Sign up on the main page on Reverseconfetti.com! Thanks so much for stopping by today, enjoy your FRIDAY!! Hi there! 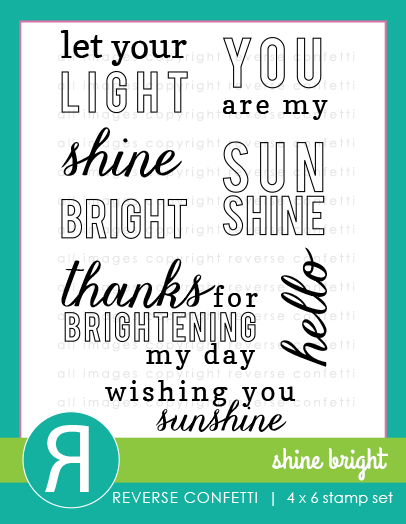 I have a quick card to share on this beautiful Monday! 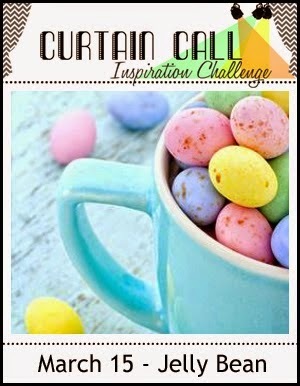 I saw this fabulous challenge from Curtain Call and HAD to play along, Reverse Confetti just released some stamps that are PERFECT for this challenge! 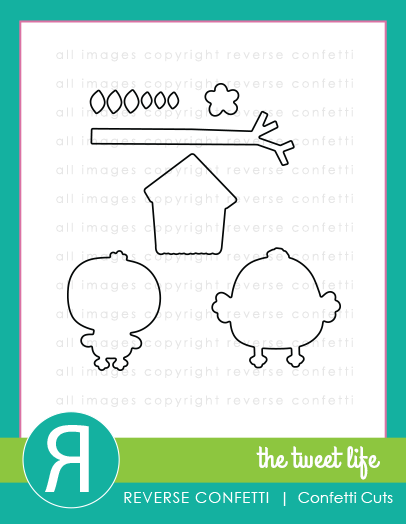 Here's my card using The Tweet Life and More than Jellybeans Confetti Cuts! So I don't have jellybeans, but I have these adorable eggs I created instead! They have the same mottled pattern as the jellybeans so I'm calling it a win, lol! 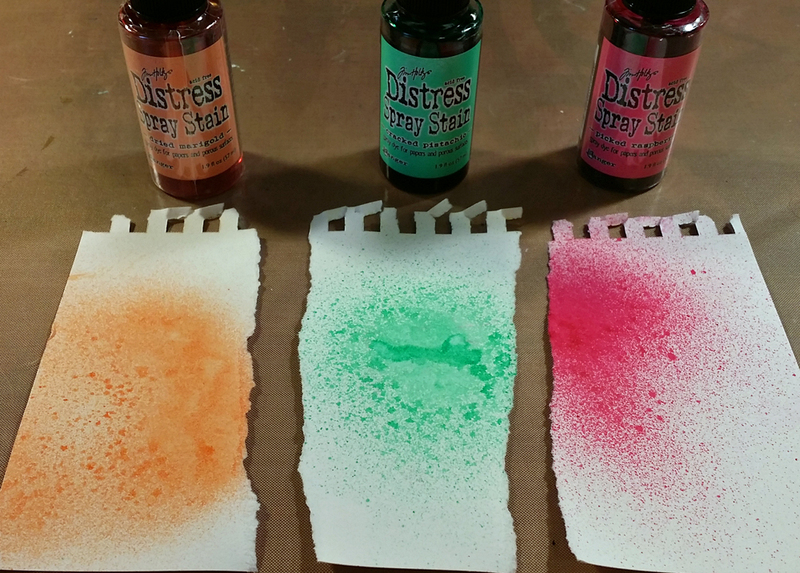 I created the eggs by spraying three pieces of watercolor paper with different colored Distress Ink Sprays. I picked the pattern I liked and, using the More than Jellybeans Confetti Cuts, cut out my eggs! 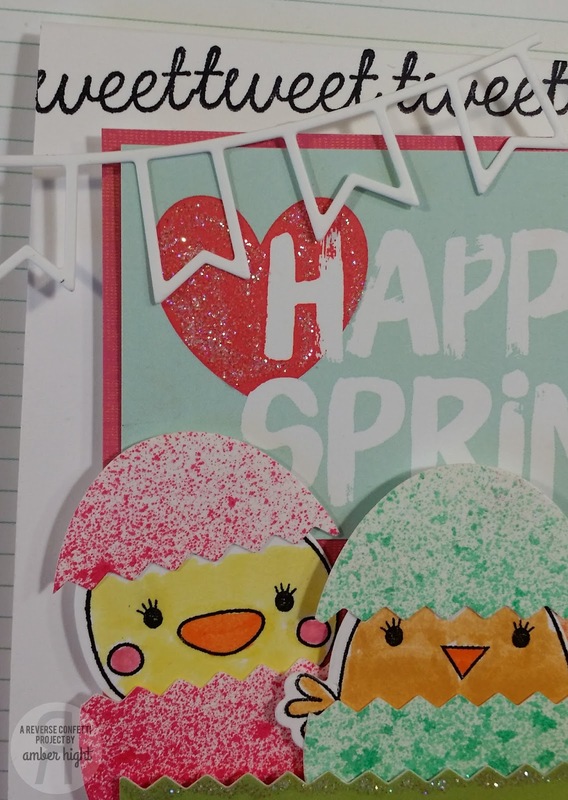 The "Happy Spring" is from one the Spring Fling Quick Card Panels. I cut the grass off the QCP so I could extend the panel. I used my pinking shears again to cut the grass from the bottom of the QCP. 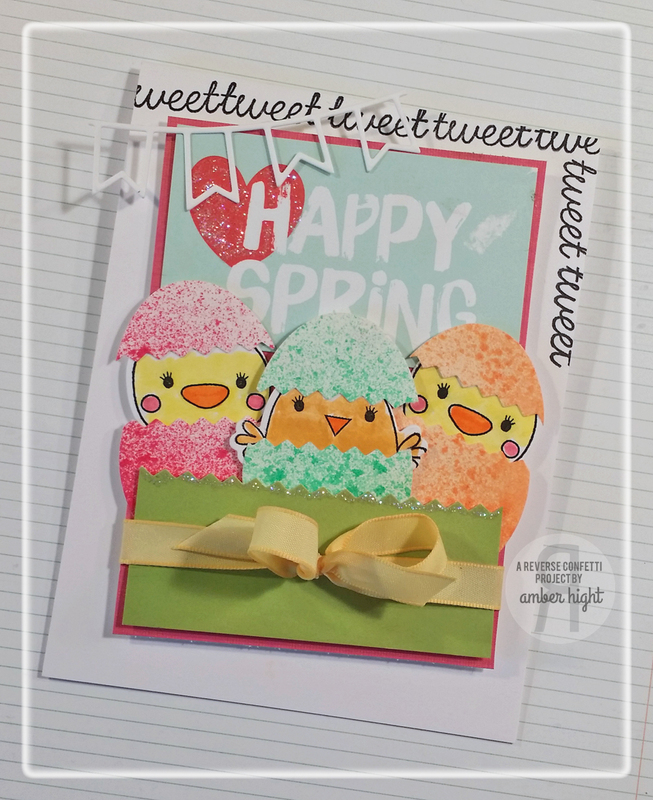 To finish it up, I stamped the "tweet" along the top and right side and added a bit of the ribbon banner from the Double Banner Garland Confetti Cuts. I love this negative banner die, it's so fun! Thanks for stopping by today, hope you have a great week! Hi there! 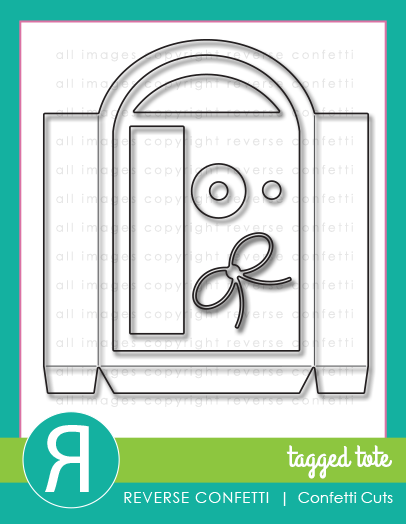 I have a quick card to share today with this months' fabulous SFYTT! I pulled out some NEW RC GOODIES for my card today! I started by cutting the blue polka dot piece with the panel from the Tagged Tote Confetti Cuts. 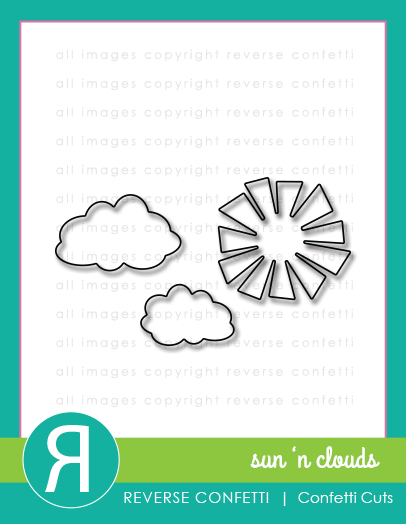 Next, I used the sun die from the Sun 'n Clouds Confetti Cuts and turned them into flowers! The little fence is a wood cut I got from Micaels, it's not a die. 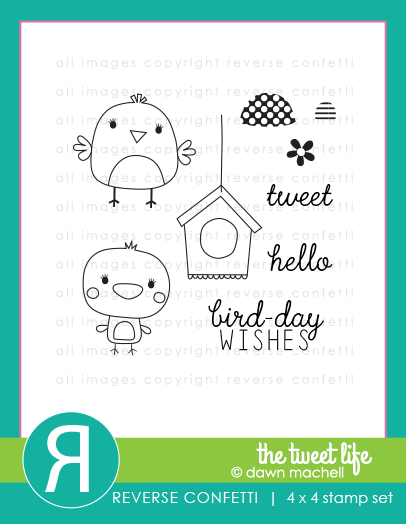 I cut out a couple birdies from The Tweet Life and colored them in with Tombow markers. 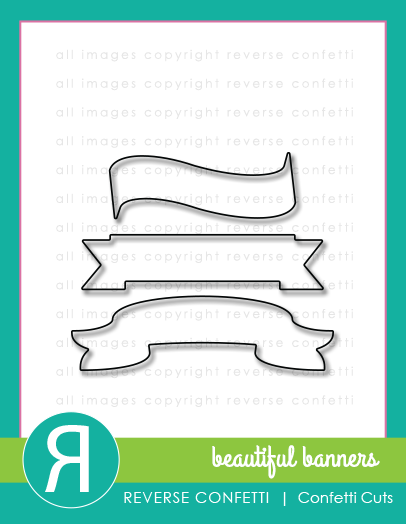 The sentiment and banner are from Beautiful Banners cut out with the Beautiful Banners Confetti Cuts. 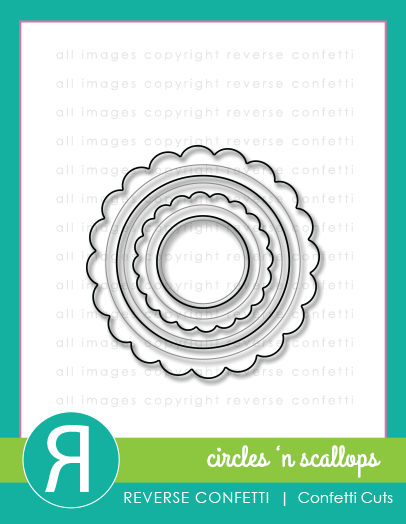 The green scallops on the bottom are from the new Double Edge Wonky Scallop Border Confetti Cut. 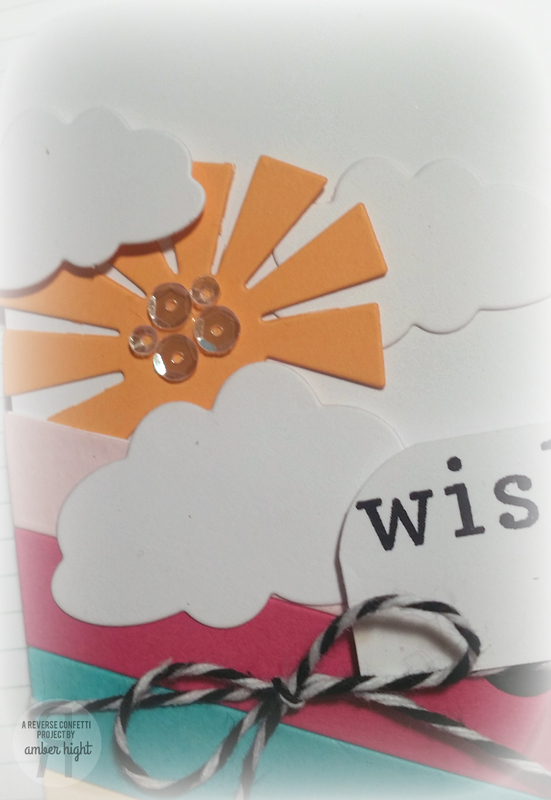 Lastly, I added some clouds from the Sun 'n Clouds Confetti Cuts and some buttons and twine! Thanks for stopping by today, please check out the RC Blog for sketch details and a more inspiration! Hi there and welcome to the March Release Blog Hop! All the amaaaazing new products are now available!!! You should be coming to me from Leigh's Blog! 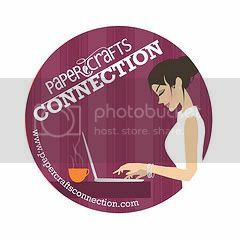 If you haven't, it might be worth your time to start at the Reverse Confetti Blog so you don't miss a single blog today! I have a couple cards to share with you today, so lets do it! 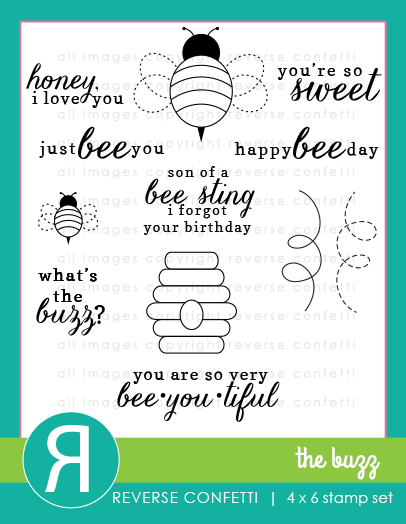 This first card uses the new set The Buzz, coordinating The Buzz Confetti Cuts, as well as the new Double Banner Garland Confetti Cuts. 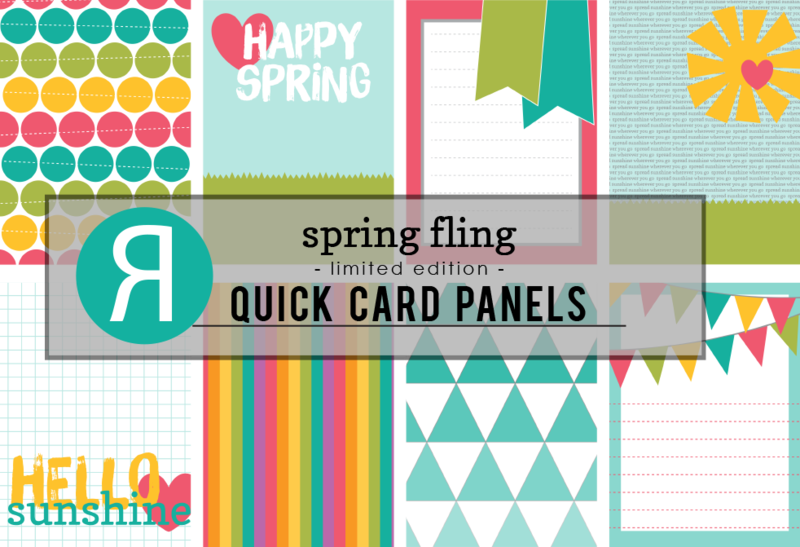 I was also able to sneak in one of the new Spring Fling Quick Card Panels! 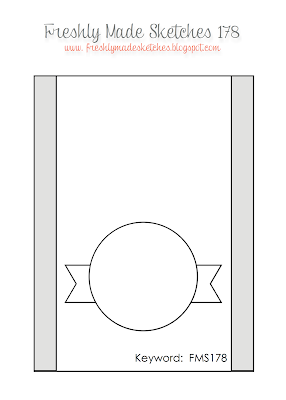 To create the banner panel, I cut a piece of white cardstock and then cut the banners. When it was in the three pieces, I arranged them so you can see the rainbow striped QCP behind the banners. 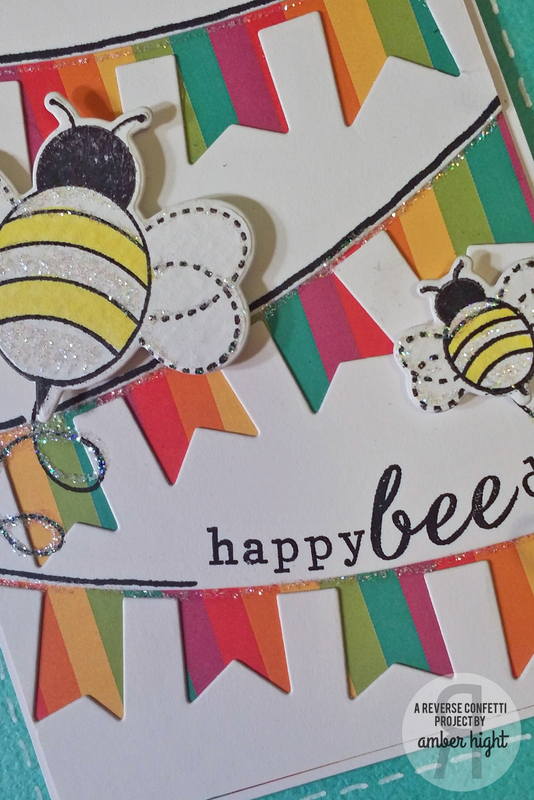 I cut a couple of the cute little bees and colored them with Tombows and glitter Stickles. I arranged the sentiment on my block in a curved shape so it could snug into that spot, one of my favorite thing about clear stamps! 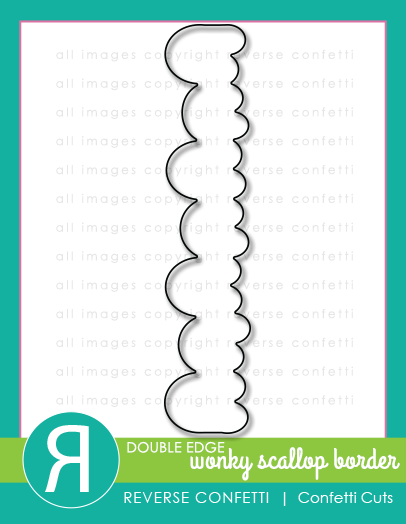 Next up is a fun card using the new The Tweet Life stamps, coordinating The Tweet Life Confetti Cuts, and the new Double Edge Wonky Scallops Border Confetti Cuts. I watercolored this whole piece with my Tombow markers. First I stamped and masked all the birdhouses, then I colored the sky and grass and blended them out with water. 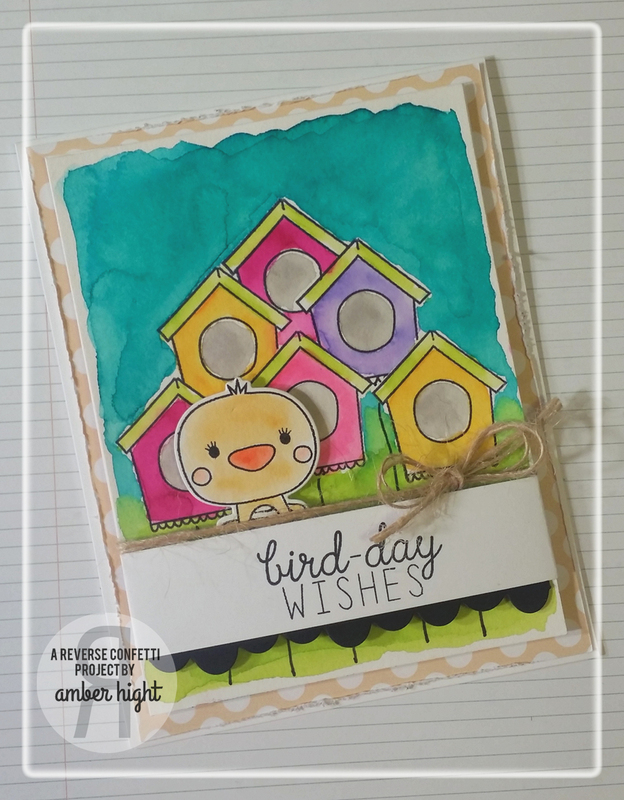 Next I had fun coloring all the birdhouses bright colors! These are obviously Florida bird houses because only in Florida is it acceptable to have a pink house, ha! Next, I cut this rediculously ADORABLE little bird from the Tweet Life Confetti Cuts and colored him in. The black border under the sentiment is the new Double Edge Wonky Scallop Border. Super fun die!! Well that's all I have today, now it's time for you to hop on over to Stacey's Blog!! Hi there! Welcome to day 3 of the Countdown to Confetti!! Aren't you loving the peeks so far?? I am always amazed by my team mates and their talent, so inspiring! 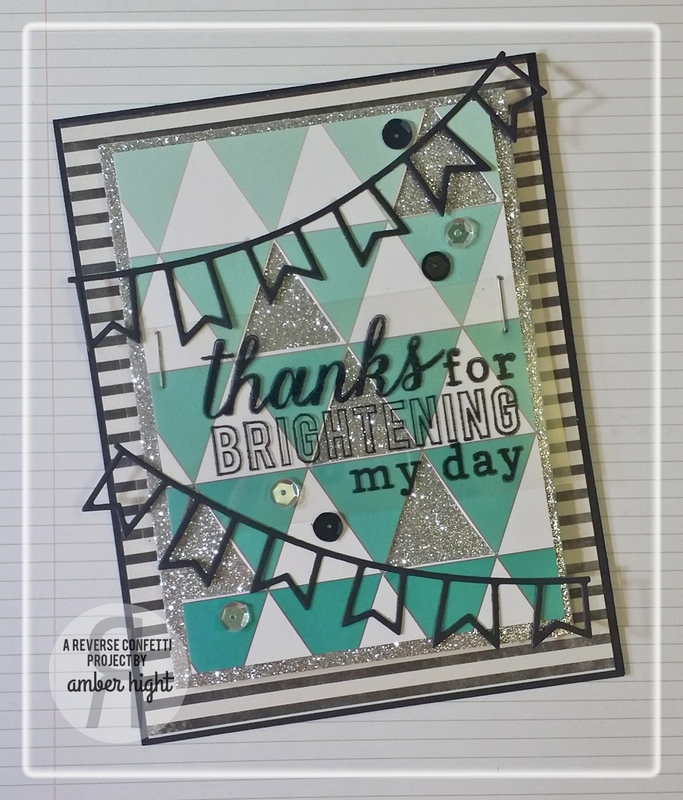 Today we're sharing sneaks a couple new sets and I have a project using the new Shine Bright set! I started with one of the new Spring Fling Quick Card Panels and cut a few of the white triangles out so you can see the silver glitter fun foam I mounted behind it! I stamped the sentiment from Shine Bright in Stazon Black ink on a piece of acetate an then stapled it to the front. 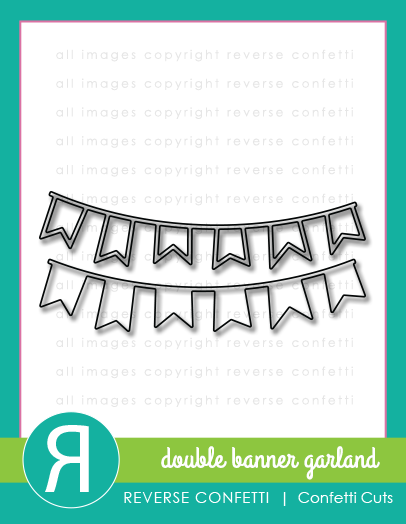 I layered a couple of the new Double Banner Garland dies and added some sequins and that finished it up! 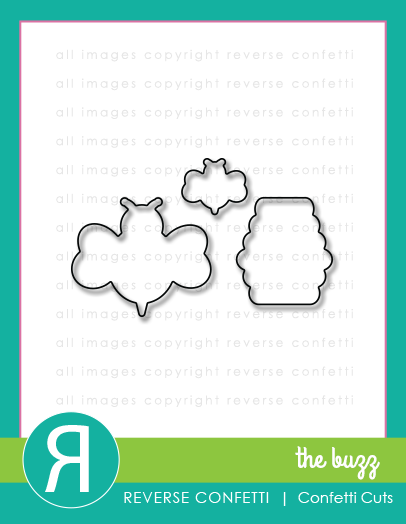 Hop on over to the Reverse Confetti Blog for more projects and prize info! Hello there! Thanks for coming by! I had some lighting problems and can't get a good picture of my card so I will be back with it this weekend. So sorry! 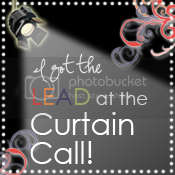 In the mean time, please hop on over to Andrea's Blog!